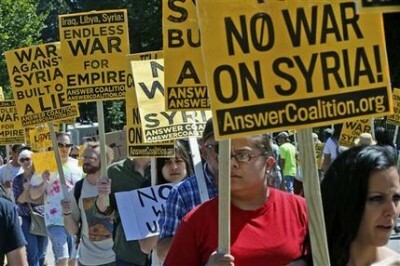 Syria – “The Regime Will Be There” – U.S. Concedes Raqqa … And The Syrian East? 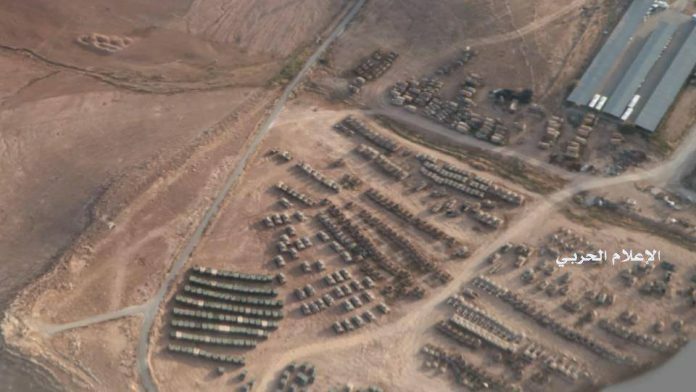 There are strong rumors that the U.S. intends to launch an invasion of east-Syria from Jordan with the aim of occupying the whole eastern area. The Syrian army and its allies launched a move towards the east (red) to prevent such an outcome. The Kurd-dominated Syrian Democratic Forces captured Tabqa Wednesday, a day after the U.S. pledged to arm the fighters. On Monday, the Damascus government for the first time endorsed the group’s battle against Islamic State, with Syrian Foreign Minister Walid al-Moallem complimenting the SDF’s fight against Islamic State at a press conference in Damascus, describing the force as legitimate.The SDF is now the only ground force with both U.S. and Syrian government approval in the fight against Islamic State as the offensive on Raqqa draws near. The group has long co-existed with the Syrian government, unlike U.S.- backed factions that Damascus deems terrorists in light of their goal to oust President Bashar al-Assad’s regime. U.S. President Donald Trump has made clear he opposes the expensive nation-building missions that have historically accompanied U.S. counterterrorism operations to support local governments and prevent insurgents from returning. For these reasons, Western diplomats say the post-capture plan is for the SDF to hand over the administration of Raqqa to a local civilian council friendly to the Syrian regime. That council could eventually transfer control of the city back to the regime, these diplomats said. On Thursday, Russia’s Deputy Foreign Minister Mikhail Bogdanov said Moscow supports the formation of local councils to administer territory taken from Islamic State but said they must not circumvent the Syrian government’s authority, in comments carried by Interfax news agency. Those are unexpected words under two aspects. First – a U.S. government official acknowledges, for the first time, that control of the area will go back to the Syrian government and second – Syrian and Russian officials are informed of and agree with these U.S. plans. A member of the currently selected Raqqa civilian council denied that the Syrian government will take charge but I doubt that she would be informed of such a high level issue. It is likely that this scheme extends to other parts of south-east-Syria and even to the north-eastern Kurdish held areas. U.S. Gulf allies and Israel would like the U.S. to occupy the east and to “block” a “Shia crescent” that reaches from Iran through Iraq and Syria to Hizbullah in Lebanon. But any U.S. position there would be a hostile occupation which would have to fight off Syrian government forces, local Arab resistance, remnants of ISIS and Shia militia from Iraq. The “Shia crescent” is anyway a chimera. Iran was well able to supply Hizbullah in Lebanon even as Iraq was occupied by U.S. forces. At that time the road from Iran to Syria was blocked, the alleged “Shia crescent” was interrupted but supplies to Hizbullah still flowed unhindered. Turkey, a U.S. NATO ally, will never agree to a Kurdish statelet in north-east Syria. Even a somewhat autonomous Kurdish area will only be tolerated if the Syrian government is in supreme control of it. 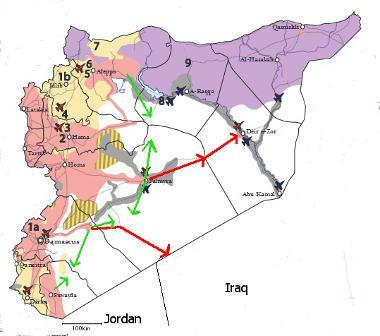 A U.S. occupied zone in the landlocked Syrian east is of no strategic value to the U.S. It is surrounded by potential enemies and it would permanently require significant military resources. A return to Syrian government control is the best alternative. But despite a likely agreement the Syrian government forces will continue their moves towards the east. The U.S. can not be trusted. In September 2016 a ceasefire and cooperation deal was agreed upon between Secretary of State Kerry and the Russian government. The fight against ISIS would be coordinate between all countries, including Syria. The U.S. military sabotaged the deal by launching air attacks on Syrian government forces in Deir Ezzor which were besieged by ISIS. This enabled ISIS to take a significant part of the government held areas there and to nearly eliminate all those forces. The U.S.-Russian agreement fell apart. Any agreement with the U.S. that ISIS areas in Syria will fall back to government control, independent of who liberated them, should be welcome. Military hawks in the Trump administration, the sectarian Gulf countries as well as Israel will try to interrupt such a move. The Syrian government and its allies must therefore continue their own operations and liberate as many ares as possible by themselves. They must stay aware that a Trump administration might, at any time, revert to the old plan of establishing a “Salafist principality” in the area – even when such an unruly proxy would make little sense for it.